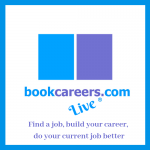 We’re making a few changes to the bookcareers.com website and one of the major changes is that we’d like your contributions. So if you’ve been on a training course, undertaken work experience or had the ‘interview from hell’ with a publisher, we’d like to hear your stories (and we will guarantee anonymity if requested). 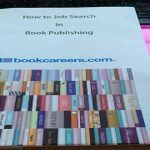 We’d also like to know about any other publishing career resources you use, whether it is a blog or job site, and we’ll add any that are relevant to our list of resources. Publisher/Imprint: Headline Publishing, part of Hachette UK. The placement overall was very structured and didn’t involve admin tasks such as photocopying and filing as much as I expected. I was placed in the Publicity and Marketing departments; my job role included carrying out social media research in order to help the publicity department improve their use of sites such as Twitter and Facebook. 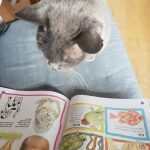 Other jobs included creating Pinterest Boards, mailing books out for review, creating show-cards for events, and checking newspapers and magazines for reviews of recently published books. The greatest benefit of the two weeks was being able to learn how to use Adobe Indesign to create two press releases. While the functions I learnt were rather basic it is definitely a starting point in helping me stand out in my CV. I was also able to work with programs such as Gorkana Media Database and Biblio3. Everyone was really friendly and were happy to answer any questions or clarify tasks if I didn’t understand. Aneeka is currently in her final year at Brunel University and is looking for a job which starts in September 2014. If you are interested in employing Aneeka please contact us.